Wether its for your Dad, Brother, Husband, Boyfriend or Grandad, you will all be on the hunt for gifts for Christmas. But I find that men are the hardest to buy for. Especially Dads and Grandads. 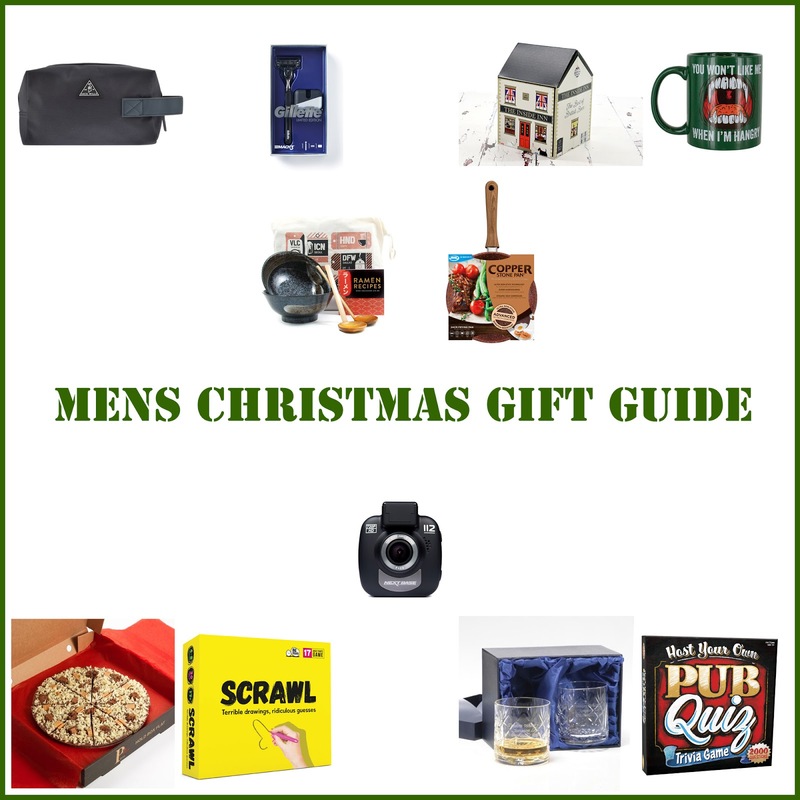 So here is a gift guide sharing some gifts that I think are perfect for the men in your life! Wether you want to spend a little or a lot there are some great gift ideas for all budgets listed here. Or you may be a guy reading this, and in that case you may want to pop some of these gifts into your christmas wish list. Enjoy looking through these items and I hope they give you some Christmas gift inspiration. 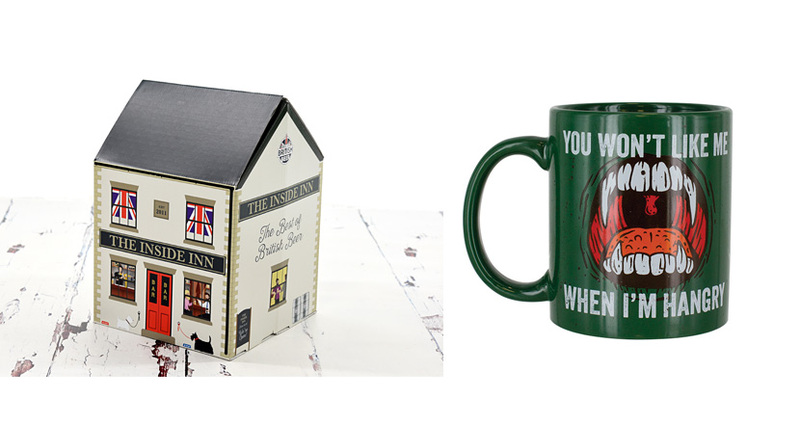 This Christmas why not bring the pub to you with your very own little pub gift box! The Best of British Beer all Inside your own home. All you do is Open up the pub to find 4 brilliantly selected beers. This is a prefect present for a beer lover in the family. Do you get angry when your hungry? Or do you know someone who gets Angry when Hungry? If you do then this is the perfect Mug for you! Hangry is the new word for being hungry and angry at the same time and is often heard around the office. Remind you of anyone? If so this is the perfect gift for them this Christmas! 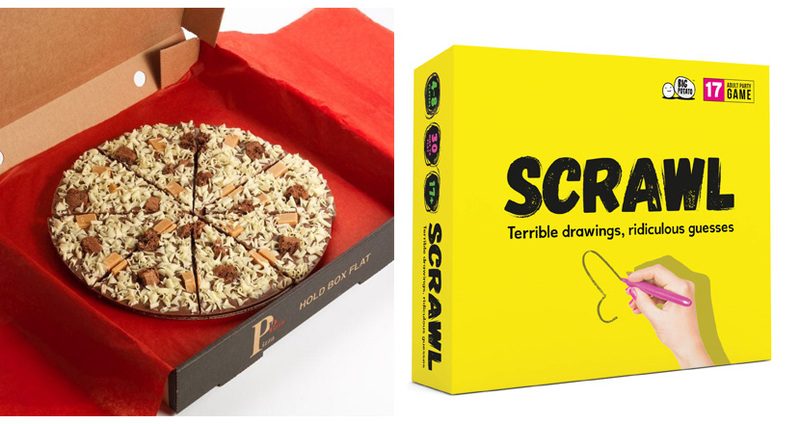 Pizza or Chocolate this Christmas? Why not have both! This yummy treat is made from the finest Belgian chocolate, fudge, brownie pieces and white chocolate shavings. This yummy pizza makes a superb gift for anyone this Christmas. After all everyone knows that the best way to a man's heart is through his stomach. This adult doodling and caption-writing party game is a must have for any Christmas game nights! Simply start by drawing a loaded phrase (e.g. Monkey Knife Fight) and passing it round the group. By the time your delightful drawing is interpreted by your friends’ twisted minds, things might of taken a turn for the worst. Then it's most grins wins. Here is something special for the Whisky drinkers. Crystal cut engraved Whisky glasses! With the special touch of being personalised with either your name or your loved ones name on. Or you can even write a special Whisky message for them as you can use up to 60 characters on each glass. This is a special gift that not only will be used to drink the finest whisky's from, but also perfect to be displayed in a cabinet in the gorgeous blue silk lined box they come in. Can't make the pub quiz this Christmas? No problem! 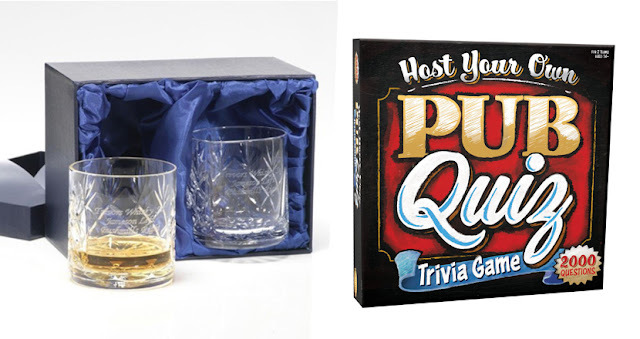 You can now play at home with this Pub Quiz Trivia Game. It's the traditional pub quiz you can play in the comfort of your own home! The game comes complete with 2,000 questions covering all your favourite subjects, including TV & Film, Sports & Pastimes, Science & Nature, Food & Drink, Arts & Literature, History, Places & Music. This Luxury Travel Bag it truly is a great gift for the gym frenetic or the sight seer In your family. 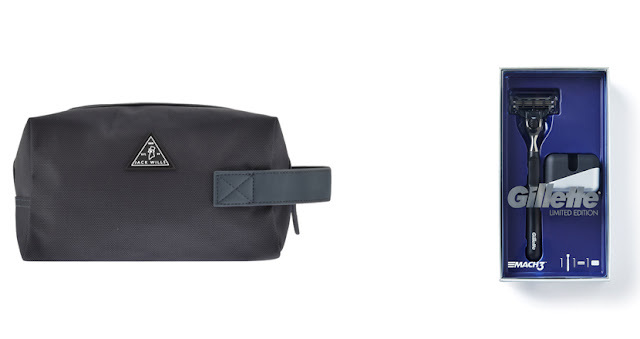 It's constructed in a soft woven fabric with the signature rubberised Jack Wills logo situated on the front in black and white. There is a zip entry to the spacious main compartment and an elasticated pouch pocket design on the interior. It also has a soft rubber touch fabric carry handle at one end. You will soon be known as the stylish one among your friends with this little beauty. The limited edition Gillette Mach3 gift box set has a sleek design and a razor stand for an elevated shaving experience. Inside, you'll find a limited edition Mach3 chrome handle razor and razor stand. The limited edition Mach3 razor fits all Mach3 blade refills. Give him the best gift a man could ask for over Christmas, a smooth kissable face for when their waiting under the mistletoe. These gorgeous glossy black Japanese Ramen bowls with a grey speckled finish are the ideal present for and food fanatics. Using the Ramen recipe booklet you get a brief introduction to how to cook Japanese Ramen. 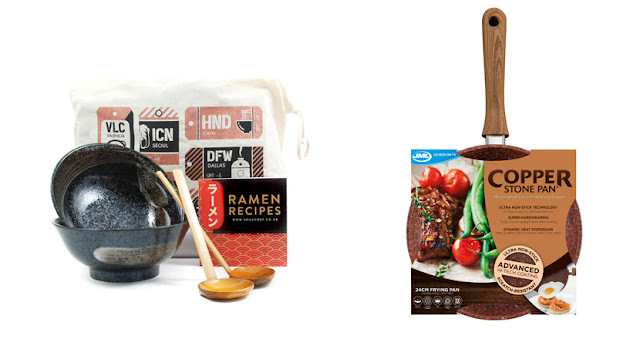 You'll have all the recipes you need to become a Ramen expert at home! It also comes with 2 Japanese wooden spoons to eat your Ramen in style. These copper stone pans really are the ideal present to any food lover or healthy eating fanatic this Christmas. As we already know cooking without the need to add any fat or oil makes meals healthier and cleaning-up quicker. But Copper Stone Pans heat up faster too, stay hotter for longer and cook more evenly, giving you the perfect non-stick experience on any kind of hob. 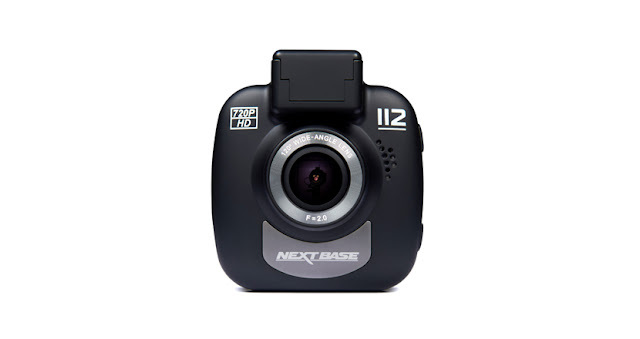 Nextbase Dash Cam 112 offers the ultimate in convenience to resolve any Christmas driving mishaps. With a HD video it helps to provide you with instant evidence to support insurance claims. So your not only giving a loved one a gift your giving them peace of mind! Will you be buying any of these as gifts this year? Would you want to put any of these on your Christmas List? The chocolate pizza looks very tempting! Possibly. As some good appropriate gifts for the men I will be seeking out Christmas gifts for. 10. Copper Stone Pans. Sounds like a great idea for some of the men (and others) in our life. Who doesn't like food? Many men like to access their food quickly, so adding in a healthier aspect seems a great bonus. What a great bundle of gifts! Perfect fit hubby as it's his birthday Christmas day and I always makes sure he has seletate Christmas and birthday presents! He would love the personalised whisky! Dash Cam, a useful gift for many people. Chocolate Pizza :- appeals to many. Yes, there are a couple of items in the list that are now on my list. Thank you. I always put off buying for the boys until the last minute as I struggle to come up with ideas and, if I ask them what they want, they say they don't know.